I’m a big believer in breakfast, and it’s no secret that it’s the most important meal of the day. Still, as a mama of two very early risers, it’s difficult to get it together in the morning when all you want to do is go back to sleep. I am determined to give them something hearty for breakfast that isn’t out of a box. 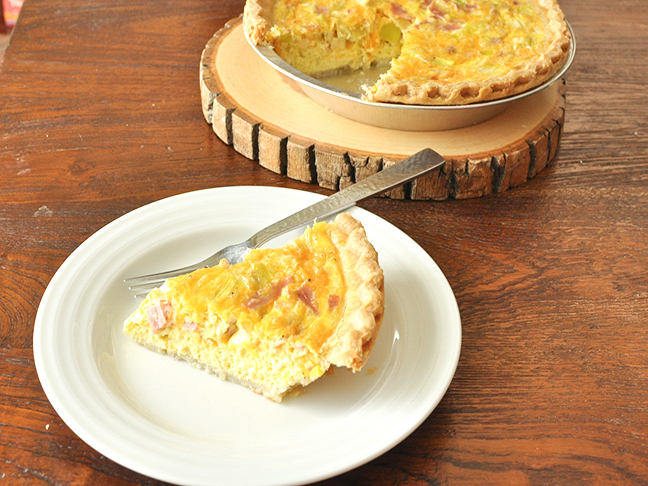 On most days I make it happen thanks to recipes like this easy ham cheese and leek quiche. I make it at the beginning of the week and it lasts for up to five days if stored in the fridge, covered with plastic wrap. This way, no matter how early my boys rise, all we need is thirty seconds in the microwave and a side of fruit and we are good to go. I love having this in the fridge as a quick lunch for me alongside a fresh green salad. It gives me no excuse not to eat something during the day when I’m running around. 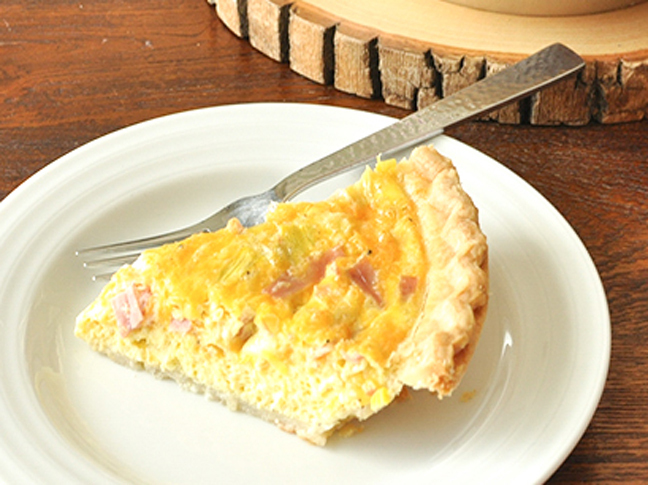 Feel free to swap in your favorite cheese, veggies, or meat to make this recipe your own. Enjoy! I make this at the beginning of the week and have breakfast for the fam all week long. Step 2: Heat butter in a large skillet over medium heat. 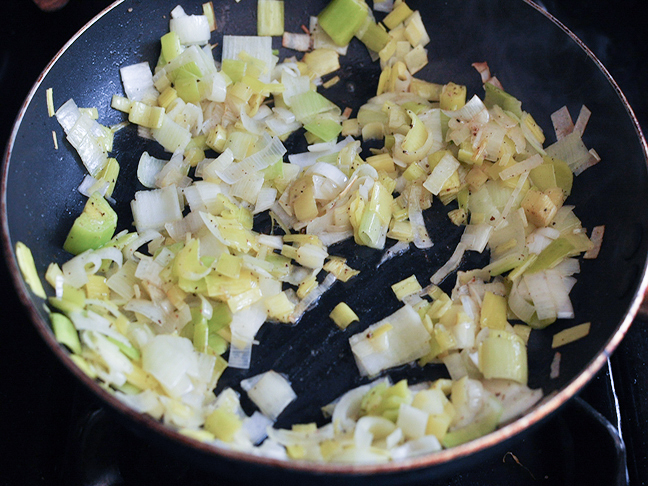 Cook leeks for about 3 minutes or until just tender. Set aside to cool. 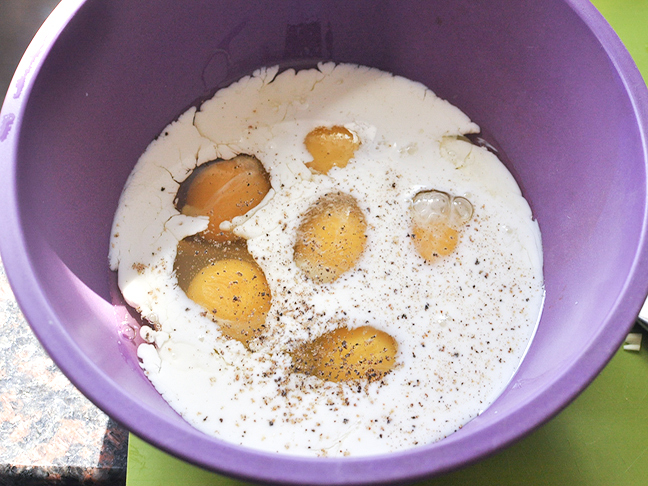 Step 3: In a large bowl whisk together eggs and milk. 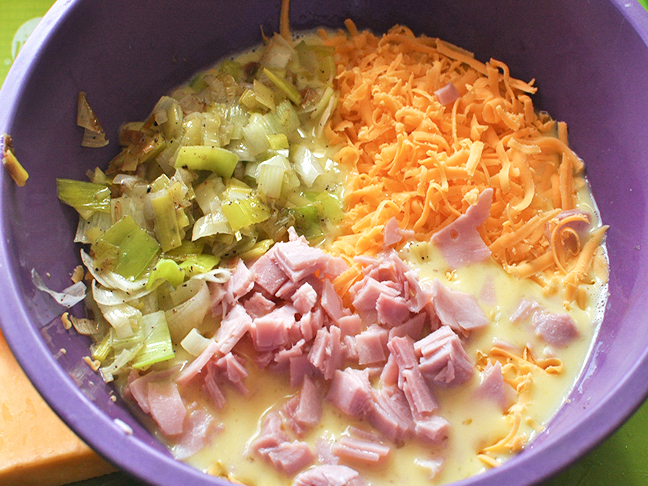 Stir in ham, cheese, salt, pepper, and cooled leeks. 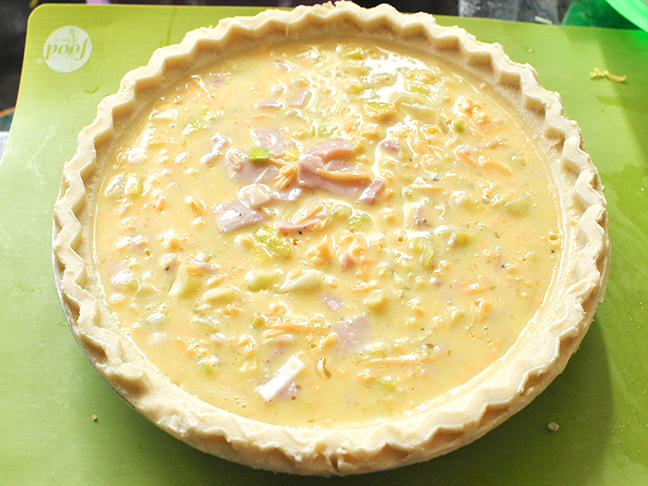 Step 4: Pour into pie crust and bake for 25-30 minutes or until pie is just set. 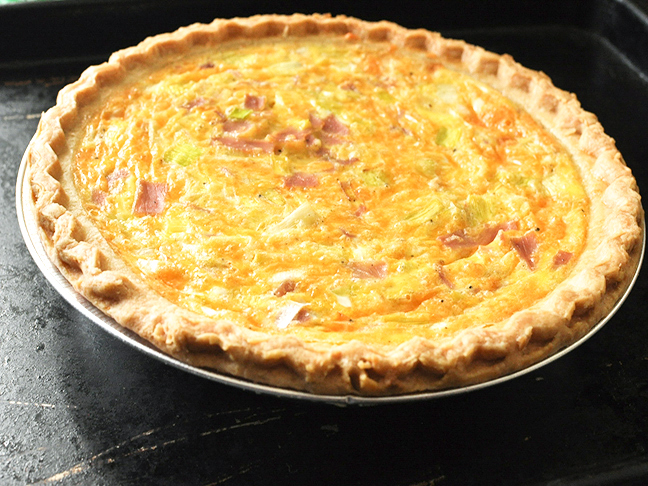 Serve warm or cool, and then cover and refrigerate for up to five days.